Sometimes when we try to pray, it is very difficult to get the conversation with God going, we sit they and say ‘Er, hello God. Er, are you there? Er, hello its me again …’ Christians have had this problem since prayer began. The Jews before us also had this problem, so they devised a way of getting the conversation going. If we think of our own conversations they always start with a standard form, “Hello, how are you … Nice weather ….” etc. If we didn’t use these forms we would find it hard to have a conversation. The daily office is a way of saying ’Hello, how are you’ to God. The daily office can be a long or a short version. The readings and Psalms give us a starting point to begin to pray. 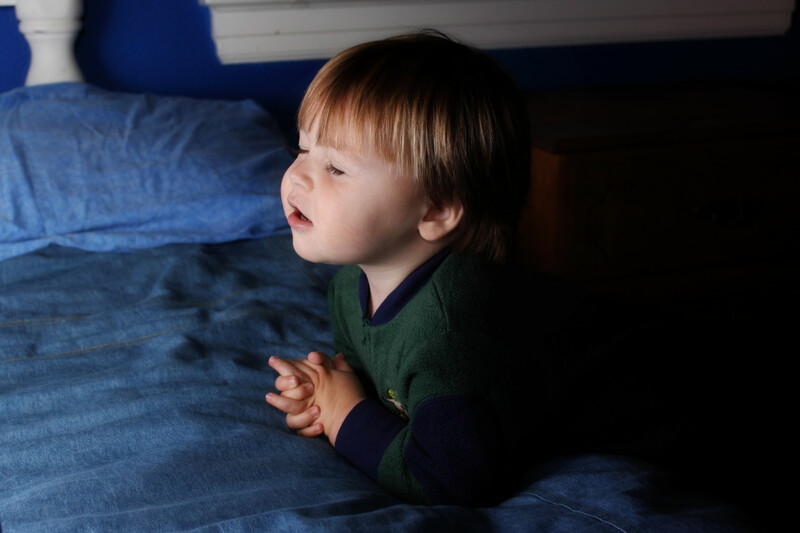 All you need to pray in this way is a Bible and a list of readings called a lectionary. The parish magazine has a lectionary every month. If you used this every day for four years you would read almost all the Bible, even the weird bits, and there are plenty of them. Probably the best place to start is with, ‘40 days with Jesus’. This is a six week list of readings that give you an introduction to Christianity. There are also Top Tips explaining each reading so they should make sense. These can be found on the parish website or you can get a printout from the office. Also there is great website called www.rejesus.co.uk. This contains lots of useful information about Christianity. There is also the parish library with plenty of good books and DVDs. The other main aspect of daily prayer is that we are praying as a community, not just as the people of St Laurence’s, but with millions of people all over the world who are using a similar form. We are also praying with Jesus, Mary, the Apostles and everyone throughout the history of Christianity. That is why during some of the prayers we use the plural “and also with you”. Even if we are alone, we are recognizing that we are praying together with the whole Church. Prayer is not easy> Even priests don’t find it easy. It takes practice, so here are some tips to get you going. Try to pick a time which is convenient to you each day, one that fits into your daily routine. E.g. before breakfast, after tea or after the children have eventually gone to sleep. Pick an place that is quiet and uncluttered. Make the place special by decorating it with pictures of special people, churches or cuttings from newspapers. All these will remind you what you want to pray about. There is no right way of doing this. Be creative, this is your time with God. You might find it helpful to use incense cones, or different coloured candles for the seasons. Before you start, look up the reading and Psalm, and take a few seconds to be still. Llighting a candle could help here. How do I find each reading or Psalm? The book of Psalms is found in the middle of the Bible. Once you have found it, put a book mark in it for the Psalm for that day. The word Bible means ‘the books’. It contains over 60 of them. Bible references are in three different parts, book, chapter and verse. Here is an example of how to find the reading 1 Kings 19v11-13. The name of the book in this case ‘1 Kings’. Look in the contents page in the Bible Turn to that page and there may be a short introduction to the book. If there is, read it to put the reading in context. You should see a big number 1 at the beginning. This is the chapter number. Turn the pages till you see a big number 19. This is the beginning of chapter 19. The chapter is split into verses. These are the little numbers. Look through the chapter till you see a small number 11. The reading finishes at the end of verse 13, so when you see a small number 14 stop reading. Most of the readings given are split into stories, so you usually stop at the end of the story. These are like hymns in church, except they are the same hymns that Jesus and all the saints have said over the centuries. In saying these, we are literally doing what Jesus did. Say these aloud, slowly & quietly pausing after every verse. This does feel silly at first but stops you rushing. Pause briefly after the reading to help it sink in. If you are using the Top Tips notes read these here, and stop and think for a minute about the reading. A good Bible to start with is the ‘Good News Bible’, the ‘New Revised Standard Version’ or the ‘New International Version’. Also try to get one with introductions to each book. This will help you know what type of literature you are reading, and its context. There are some free Bibles available in the parish office. Stand up, kneel down or sit where you feel like during the prayers. Most of all don’t worry about getting it right. This is only a framework for you to give voice to the pray inside you. The whole thing should take about 10-15 minutes each day and will change your life. It changed mine, so be warned!